How is everyone today? I hope the New Year has treated you well so far. 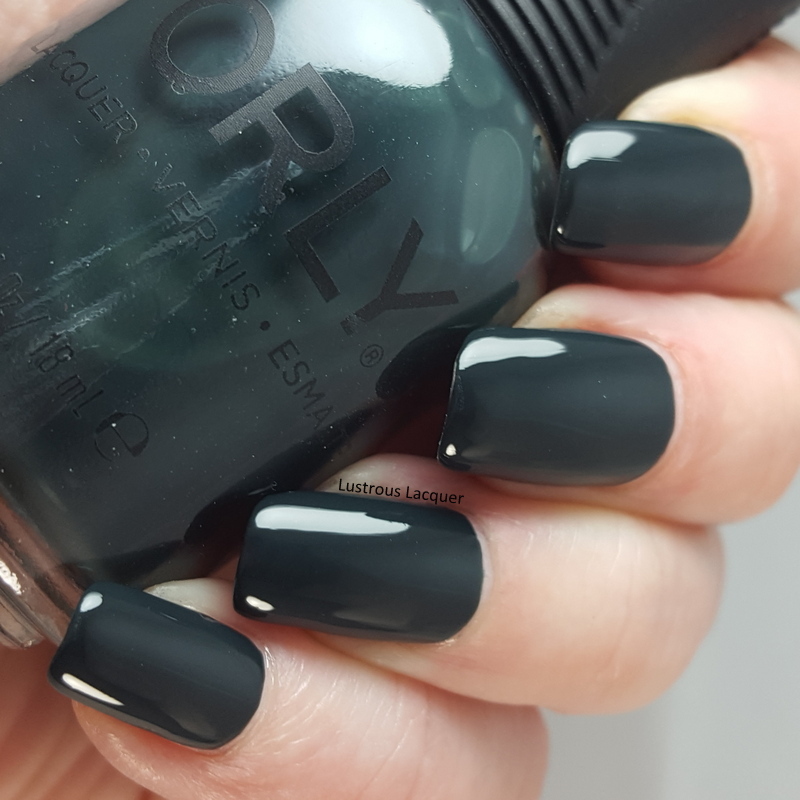 Today I'm sharing my thoughts on the new collection from Orly called Darlings of Defiance. This 6 color collection has 4 creme polishes, a metallic and a frosty shimmer. 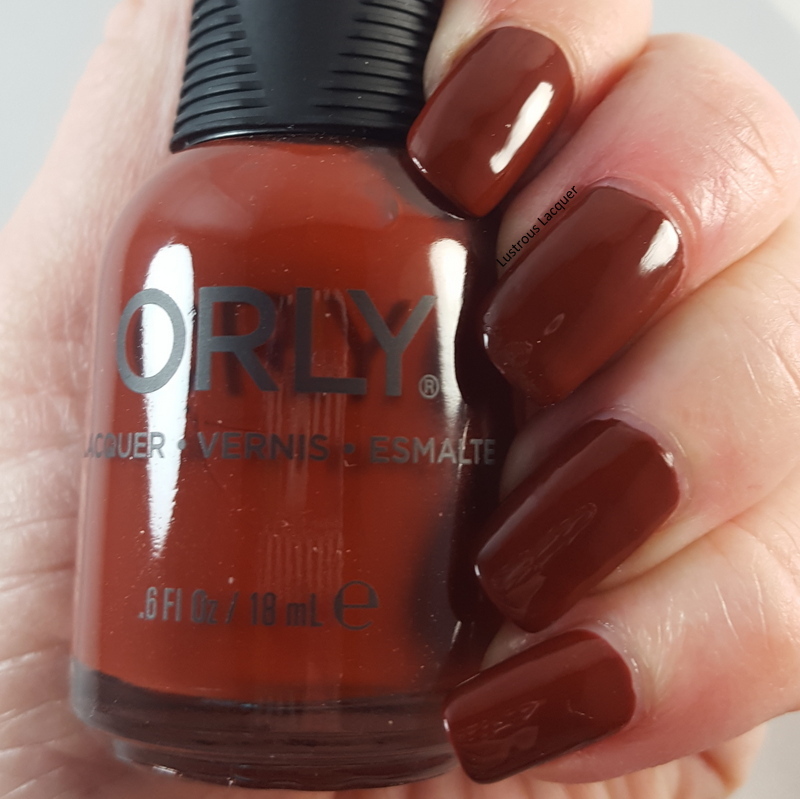 Just like the Velvet Dreams Collection, Orly has done a great job with the formulas of these polishes. Let's jump right in a take a look. Color: Pale champagne gold metallic nail polish. 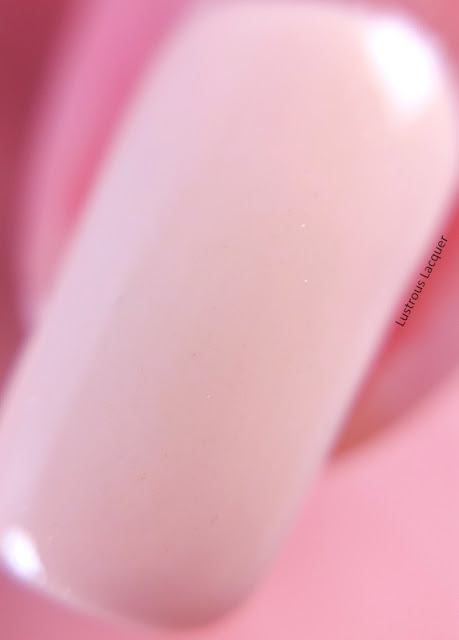 Application: Champagne Slushe is an extremely opaque nail polish. Shown here is one coat plus top coat. Sadly it suffers greatly from brushstrokes and is not very forgiving to any nail imperfections you may have. You see easily see where my nail peeled slightly at the tip of my middle finger. My overall thoughts are that this color is just a wee bit too bland for my personal tastes. 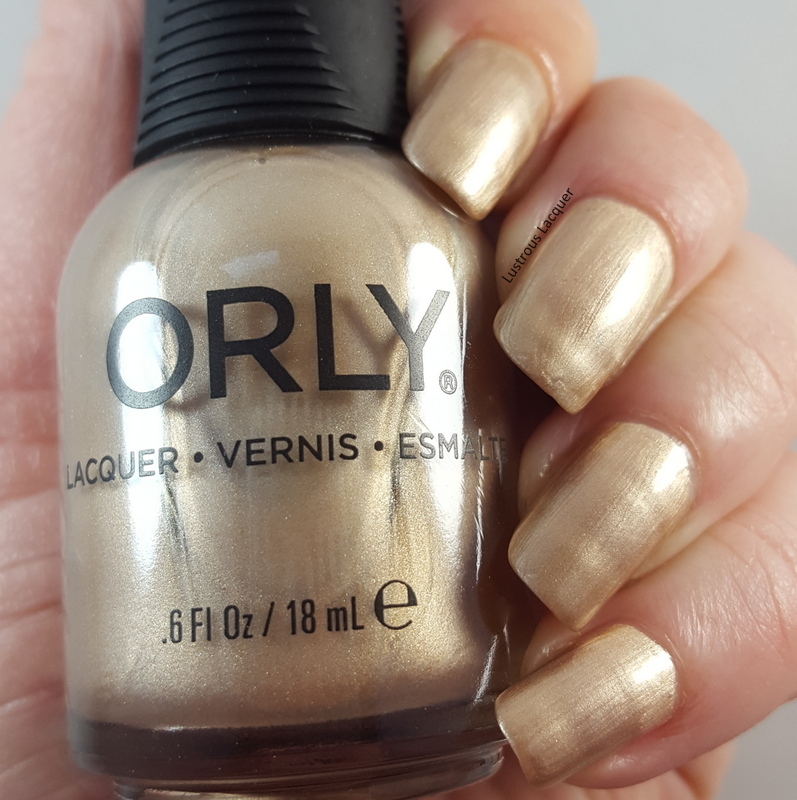 I'm never a fan of a polish that suffers this badly from brushstrokes but with as opaque as this is I'm curious to see if it works for stamping. Color: Off-white creme nail polish that reminds me of muslin cloth with a peach undertone. The color was very hard to photograph accurately. I had to do some color correction to get it right which is why I have lobster hands in these photos. Application: Smooth even application with a very opaque formula. This was almost a 1 coat coverage polish. Shown here as two coats plus top coat. The name matches this color perfectly and I actually kinda like this color. It's not one that I can see myself wearing on its own regularly but it sure does make a great base for nail art. Color: Deep rich red creme nail polish with just a hint of a brown undertone. Application: Smooth, even coverage and nicely pigmented. I only had a slight VNL after one coat. Shown as two coats plus top coat. At first glance, I thought this was another red similar to Just Bitten from the recently released Velvet Dreams Collection. They look extremely similar in the bottle. 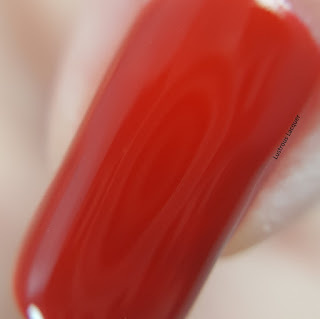 Stiletto on the Run is a darker red but has the same glossy finish and Just Bitten. 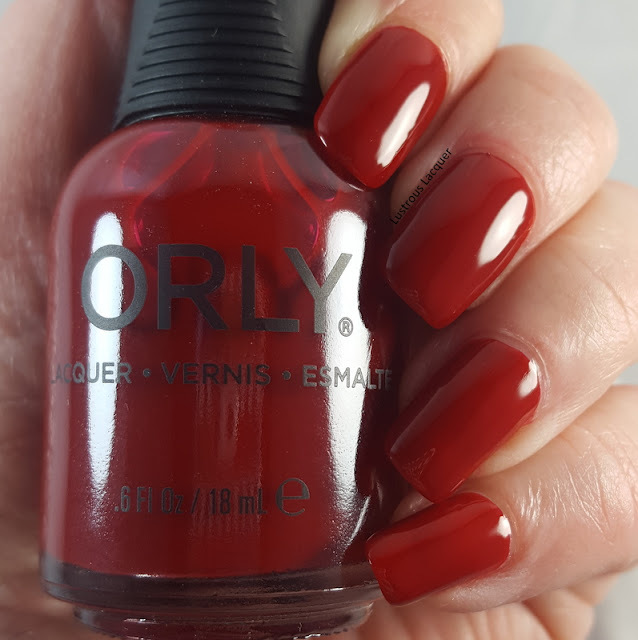 You might recognize this red also from my recent Ugly Sweater manicure. I don't know why exactly but, there's just something about a classic red nail that I love! Color: Leather brown creme nail polish. As you can see it dries much darker on the nail than what you see in the bottle. 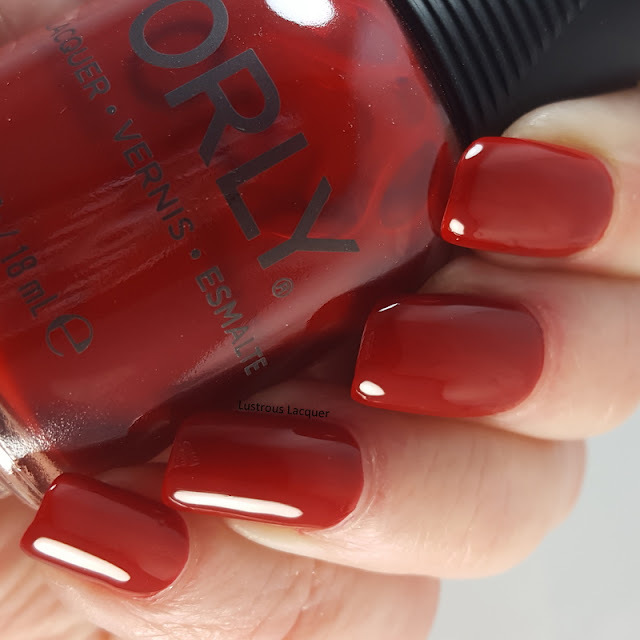 Application: Flawless application which surprised me because the polish itself is on the thin, runny side. I had no issues with flooding cuticles, streaks or VNL on the first coat. 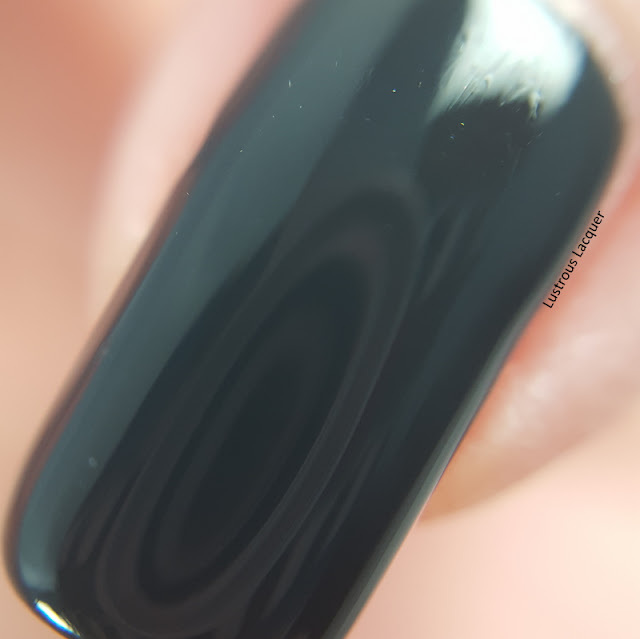 This polish is highly pigmented and very opaque. Like the others in this collection, it's almost a 1 coater. Shown as two coats plus top coat. I was expecting more of an orange undertone to this one with the way it looked in the bottle. It's not a color I would normally wear but I actually liked the way this looked on me. Even though it's highly pigmented I'm skeptical of how it would work for stamping given the thin formula. I'll have to test that out and get back to you. 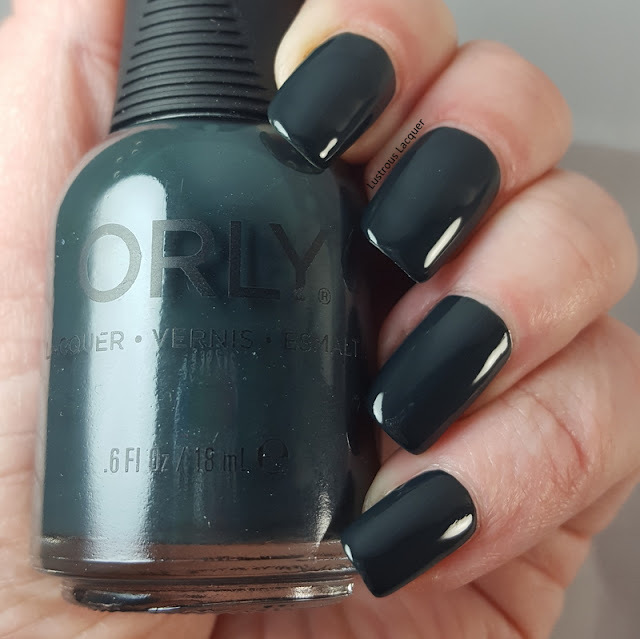 Color: Deep dark rich green creme nail polish that looks almost black on the nail. 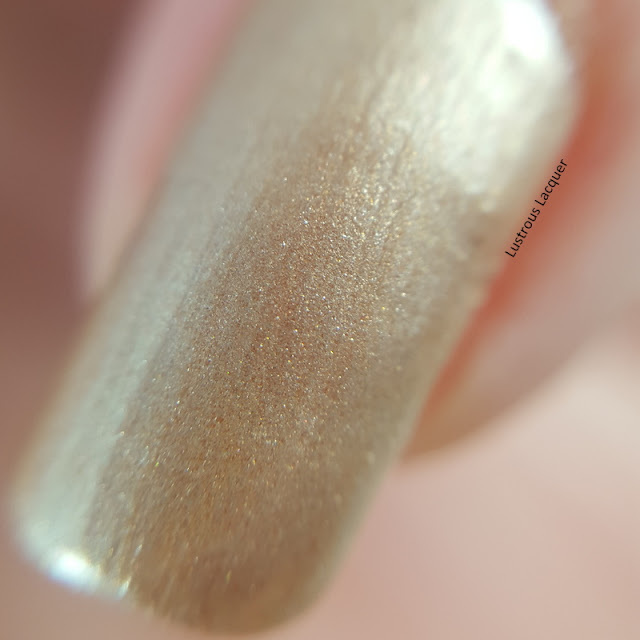 Application: The formula on this one was a little thin but the polish was easy to control and extremely opaque. Once again I almost had complete opacity after one coat. Shown as two coats plus top coat. This color is a bit too dark for my personal tastes and just like Penny Leather, the thinner formula leads me to believe it won't stamp well. Out of the entire collection, this is my least favorite but that might change once I test it for stamping. Color: Frosty pale blue with silver micro-shimmer. Application: Flawless application with even coverage on the first coat. This one was a bit more opaque than I was expecting but there was still a small amount of VNL after one coat. Two coats are needed to reach full opacity. Shown as two coats plus top coat. I like the icy feel this polish has. It seems just perfect for winter, especially with the extremely cold temps we've been having here. Sadly this polish also suffers from brushstrokes. Although they don't seem to be as bad as Champagne Slushe. Even though it has those pesky brushstrokes I really like the color so I can see myself wearing this again. If you made it this far, thank you for sticking with me. I know that was a lot of information to share with all of you. My final thoughts on this collection are that I like it. There are a variety of colors, the polishes are very opaque. While I might not wear each of them alone again I can see myself using them in a variety of different ways. I'm very curious to see how well a few of these work for stamping. Especially Champagne Slushe, Penny Leather and Secondhand Jade. Look for a post on that in the future. My favorites from this collection are Stiletto on the Run, Once in a Blue Moon and Penny Leather. Now that you know my thoughts on this collection I'd love to hear yours. Let me know what you think in the comments. Thanks for stopping by and Happy Polishing!